Golly, this is a BIG one! It’s a big one because it really makes a difference in your health. I work with people every day on this one. Because I honestly believe~ you are your own best healer. If you really want to balance your hormones and live your healthiest life, you have to be able to observe your “self”. 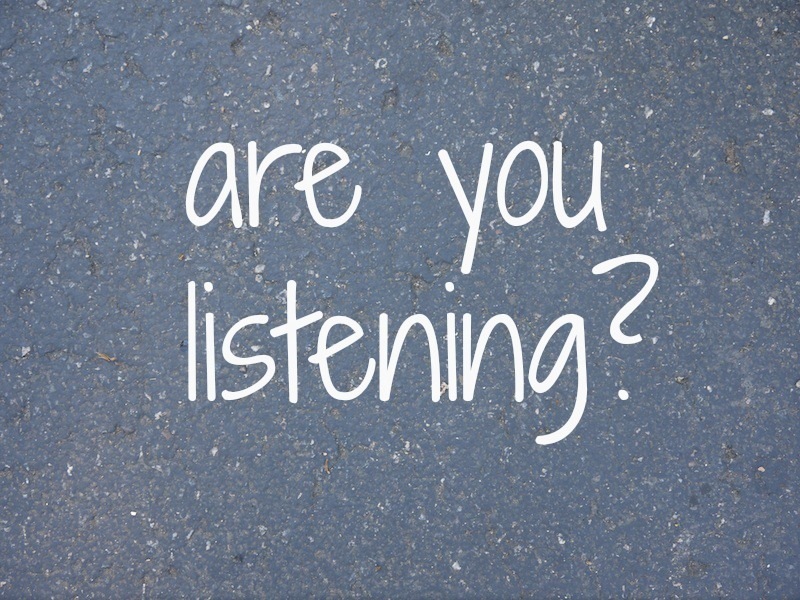 Your body is always giving you feedback, but are you listening? When your body is not well, it will begin to let you know. First, your body whispers, then it talks, and if we're still not listening, then it screams. The whispers are the little aches and pains that we all roll with. A little tweak here, a minor ache there. The whispers don’t usually get in the way of our daily lives, so we rarely pay attention to them. We just keep right on truckin’. When the whispers get ignored, they eventually turn into talking. Now, the pain or the disturbance is a little bigger. It’s like someone is jabbing you in the ribs to get your attention. Maybe it’s a headache or it’s hard to walk. But something’s not working right and your body is letting you know. Sometimes we wake up to these messages and make some shifts in our lifestyle, sometimes we don’t. When we don’t change our ways, the talking turns into screaming. This is when it starts to get ugly. It feels like we’ve been run over by a truck. We complain about getting older. We get sick and sometimes it takes a while to recover. And then, life starts to feel like a major bummer. We’ve all had our moments on this path. It’s not that we’re shooting for perfect health. That’s not realistic. What we really want is to be able to live in our bodies and respond to our bodies needs. It’s quite simple, yet it takes a bit of awareness. Are you ready to start tuning in to your body? Like I said, it’s simple, but it takes awareness. Over the course of my life, I’ve noticed that there really is only one way to cultivate a relationship with your self. It takes some time and a bit of focus. What do you say, are you ready? Spend 10 minutes every day in total silence. Turn off the TV. Turn off the computer. Turn off from any other distraction. Lay down. Close your eyes. And breathe. Feel your body. Get curious about your body. Breathe in and breathe out. Take inventory on your body and ask your body what it needs. Be quiet. You’ll be amazed at the answers. Ok. I know it sounds hokey. Trust me on this one. You are your own best healer. And you need to be very quiet to hear your body’s voice. Take time and listen in. It’s a gift. If you've ever thought that acupuncture or alternative medicine is too expensive for you, now is your time to cash in. Contact me through my contact form and I'll give you all the details. Newer PostWhy does it feel so good?